Watch our video to see how it works! Want guaranteed delivery by Wednesday, April 24? 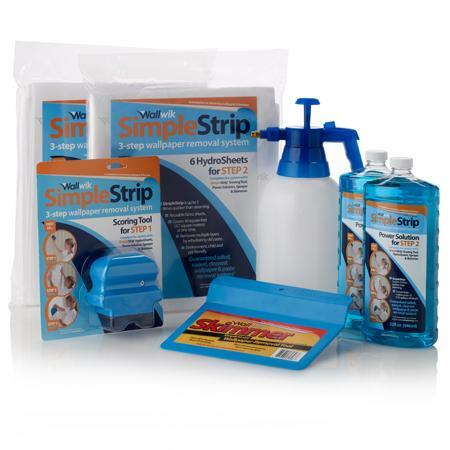 The Simple Strip large project wallpaper removal kit, contains twice the number of sheets, allowing customers to cover a larger area and remove wallpaper more quickly. SPECIAL OFFER: Now includes a FREE Skimmer (8 inch wide plastic scraper). SAVE: Buying the kit saves $16.94 compared to buying the individual items.